Today, Cents of Style is offering you 50% OFF Cardigans! 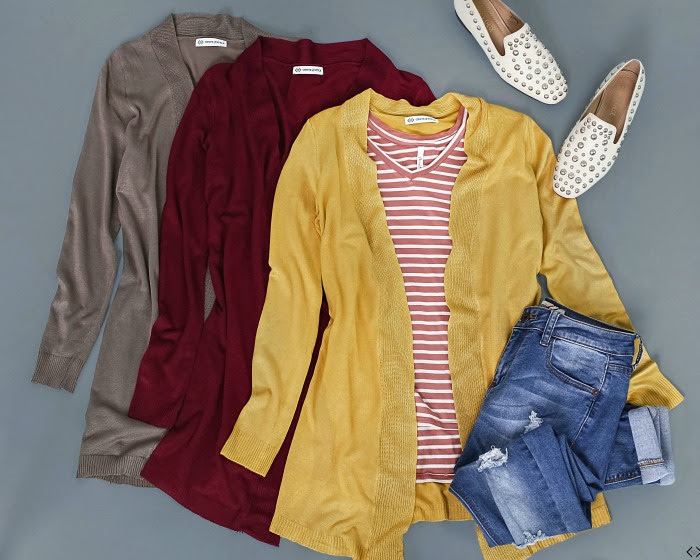 Cardigans are an easy wardrobe piece to pair with anything, and they add comfort and style to whatever you're wearing; they literally go with everything! You will love the options they have to choose from and at 50%! Prices are literally starting at $14.98 on multiple styles. The code is FRIDAY50 and is good for 50% off of our collection of Best Selling Cardis! Don't forget the FREE SHIPPING! The code is active 02/01/19 and expires 02/04/19 at midnight.